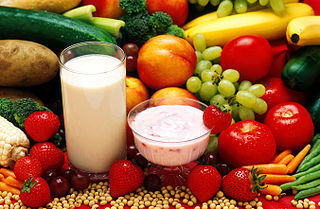 The three basic elements of the human diet are protein, fiber, and fat. Your body needs some of each of these three elements in order to survive, and without the proper balance of these three things, malnutrition and ill health is the inevitable result. Remember that fat can be healthy, too! High-protein diets have long been recommended for weight loss, but it’s known by now that they can also be very hard on your liver and kidneys. There’s a reason for that, though, and a way to do high-protein right: make sure your body gets an adequate amount of fiber, and cut down on meat and other animal-based sources of protein, such as dairy. Meat and dairy contain saturated fats and are hard for the body to digest, as they lack fiber, leading to the dangerous strain on the digestive organs that high-protein diets are known for. Instead of relying on animal protein, try plant protein―black beans, tofu, hummus, lentils, nuts, etc.―all of these will give you the lasting weight loss benefits of the high-protein diet, without the dangers. Plus, they all contain fiber. Fiber is incredibly important to the human digestive system, slowing down food as it passes through the intestines so that you get the maximum amount of nutrients out of it, and it is also one of the best ways to help you lose weight fast. In a recent study of more than 1700 overweight and obese men and women, those with the highest fiber intake had the greatest weight loss over 24 months. Results from the Continuing Survey of Food Intakes by Individuals (CSFII) from 1994 -1996 also supported the relationship between a high-fiber intake and lower body weight. One of the best high-nutrient, low-calorie sources of fiber are leafy green vegetables. Kale, spinach and romaine lettuce are all extremely low in calories, full of fiber, and offer several vital vitamins and minerals that your body needs for optimum health. For even more filling sources of fiber, look to oats, and apples. Apples even contain antioxidants which can prevent metabolic syndrome, AKA the disproportionate fat storage around the middle of the body, something that is linked to a vast array of serious illnesses, such as heart disease and diabetes. In order to limit this dangerous visceral fat, it’s important to utilize natural supplements and incorportate exercise into your lifestyle as well; websites such as Mommy Edition contain some excellent information on the aforementioned. Fat has been villainized so often that it feels like a dirty word, but the fact is that your body needs fat to function. Fats help you absorb vitamins A, D, and E, and they are vital for your nervous system. Some fats actually PREVENT heart disease, and help to prevent weight gain. The key is to go unsaturated; unsaturated fats can be found in olive oil and olives, canola oil, almonds, cashews, peanuts, peanut butter, sesame seeds, and avocados. Just two to three tablespoons of olive oil a day can raise HDL levels and protect against heart disease! Polyunsaturated fats, commonly known as Omega 3 fats, are also highly essential to both your health and your metabolism. They boost brain function and may help strengthen your immune system and improve your mood. Omega-3s are found primarily in fish like salmon, mackerel, and herring, as well as canola oil, flaxseed, walnuts, and tofu.